Airtel launched its network tracker initiative, called Open Network, to provide complete network information to its users and the public. Airtel also became the first service provider to make its information public to users and it did help improve the services. Given that Reliance Jio is new and a lot of users might not have their 4G sim card yet, this initiative will strengthen Jio’s relationship with existing users and form new ones. There are more than 3 service providers in India and it gets difficult to choose the better one. Jio is getting overwhelming response from users in India as the prices are disruptive and the speeds are high, while the competitors prepare for the commercial launch next month. People are queuing up at Reliance stores to get their hands on the Jio sim card and it does not come as a surprise that Reliance wants to improve its services. What will the service from Jio feature? Just like Airtel’s Open Network, Reliance Jio’s application will feature provisions to test data speeds, network coverage from cellphone towers and assess the call drop issues. Signal and network coverage will be a deciding factor for many, followed by 4G speeds in their area. It is not yet clear is Jio will be taking in user’s inputs to install mobile towers in areas with poor network coverage, like Airtel has done. However, it will be wonderful to have that feature so that the company can expand to locations it does not mobile circles in. If the marketing gimmicks by the company weren’t enough, the company has decided to launch this network tracking service. Users who were currently dissatisfied with the speeds and coverage can probably give Jio another chance as the company tries to make its information public. Stay tuned for more information on Jio’s network tracker app as the company prepares for a commercial launch. 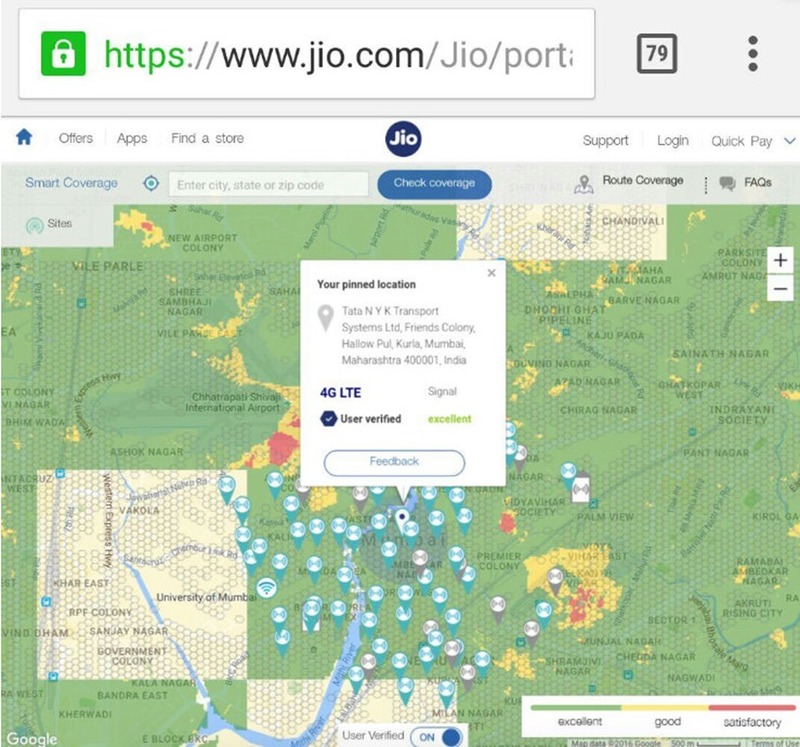 "Reliance Jio to Launch its Own Online Network Tracker to Counter Airtel’s Open Network", 5 out of 5 based on 15 ratings. HOW BUY A JIO 4G SIM CARD AVAILABLE?